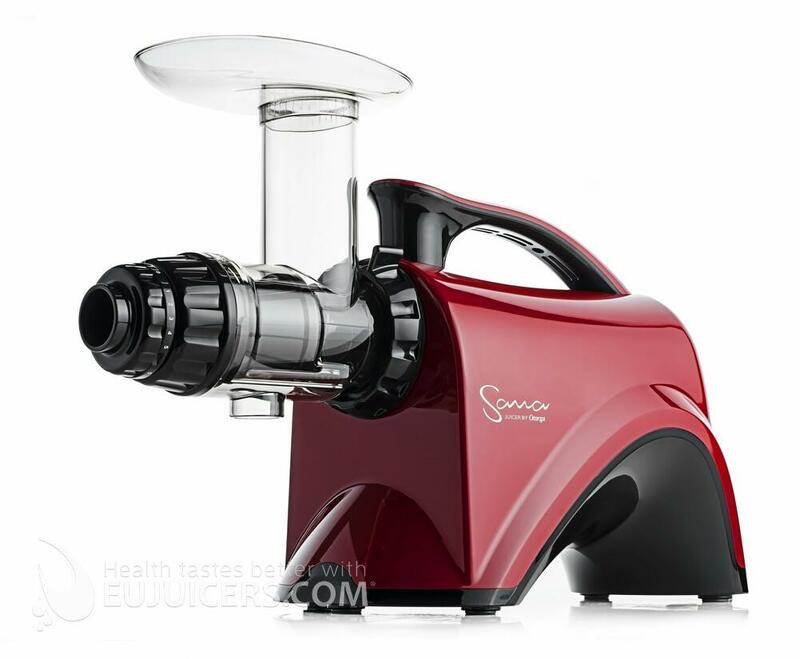 The Sana EUJ-606 is a masticating-style juice extractor. It juices at low speeds from 63 to 75 RPM, minimizing heat build-up and oxidation. The auger system forces produce into a tight chamber, grinding and pressing the food to squeeze out the juice from items as fine as wheatgrass and leafy vegetables. The EUJ-606’s food processing ability lets you make all-natural nut butters and baby food, extrude pasta, grind spices, mince herbs and garlic, and more! The size of the feed chute is larger so you spend less time cutting produce before juicing. 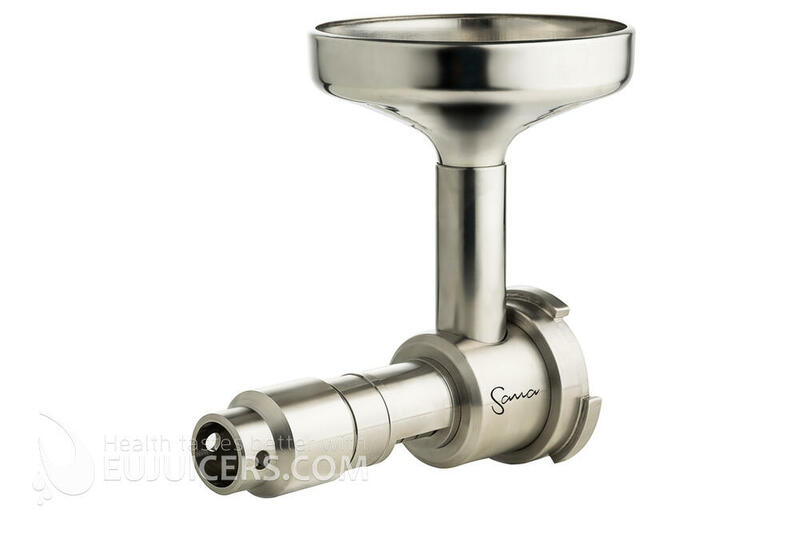 The adjustable-pressure end cap has 5-settings which increase juice extraction efficiency. Use setting 1 for citrus fruits and setting 5 for tougher items like wheatgrass. Included with the EUJ-606 are a juicing screen, a blank screen for processing, a set of nozzles for pasta and sorbet, plastic juice and pulp containers, a pusher with silicone ring, and a cleaning brush. All juicing parts are BPA-free. 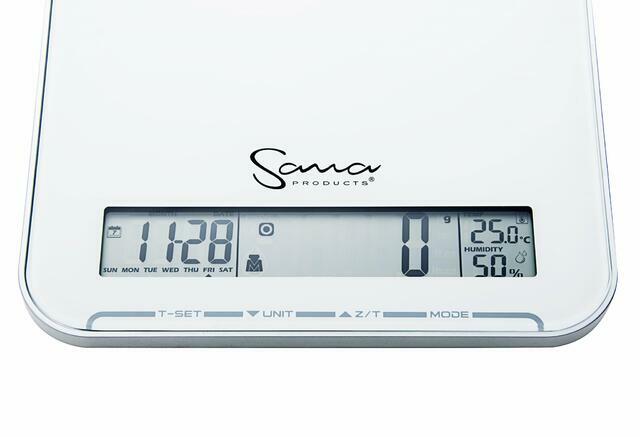 The Sana Oil Extractor Set is the easiest way to get into home oil extracting. 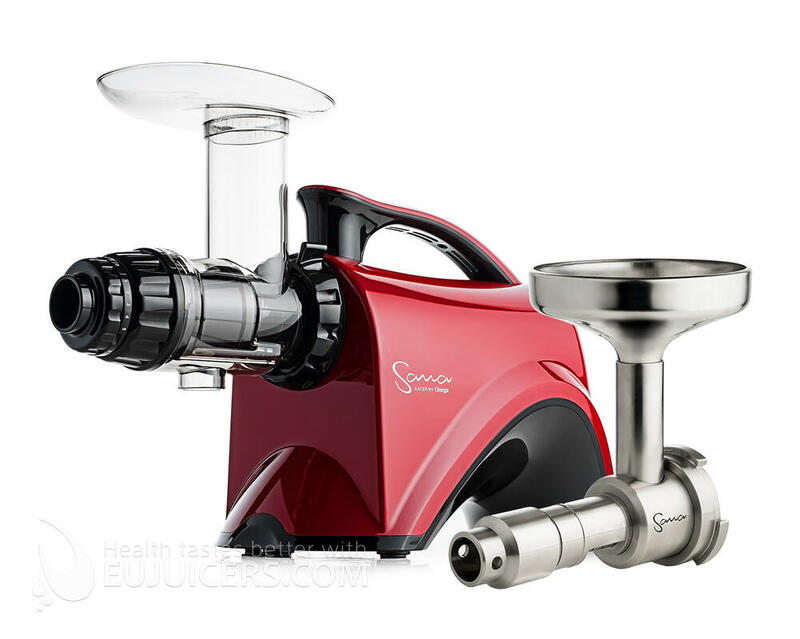 This set combines our versatile Sana EUJ-606 multi-purpose horizontal juicer with our new Sana EUJ-702 oil extractor attachment in one package at an attractive price.